The WWW college football game of the week is Saturday’s showdown between the Florida Gators and Miami Hurricanes. I spoke to Hurricanes’ season ticket holder Herby Mitial about the matchup and inquired is he ready for the gameplay? “Is the sky blue?” Mitial stated. Both squads from opposite ends of the state share the same sentiment. Mitial should take in every moment of the atmosphere around him; who knows when he will see the rivalry in person again? The Florida-Miami rivalry has undergone one 13-year hiatus. With the SEC potentially moving to a nine-game conference schedule, Saturday’s meeting between No. 12 Florida and Miami might not be played for a long time. The teams met every year from 1944-87 and then didn’t play again until 2001. The history that matters is who is on the winning end. This game in the rivalry will see the season debut of Florida running back Matt Jones after the sophomore missed the opener while recovering from a viral infection. Jones rushed for 275 yards last season. The Gators were chomping away just fine last week without him. Quarterback Jeff Driskel went 17 of 22 for 153 yards and Mack Brown ran for 112 yards and two touchdowns on 25 carries in a 24-6 victory over Toledo. The C-A-N-E-S blew their way to a 34-6 win over a less impressive Florida Atlantic squad. The Hurricanes, despite a sluggish first quarter led 3-0. Pundits believe they have an opportunity to compete for the ACC title with Duke Johnson leading the way in the backfield. Johnson recorded a career-high 186 rushing yards against Florida Atlantic but missed most of the second half after being shaken up on a play. Before he left, he helped Miami overcome a slow offensive start with a 53-yard second-quarter touchdown run that gave the Hurricanes a 10-0 lead. 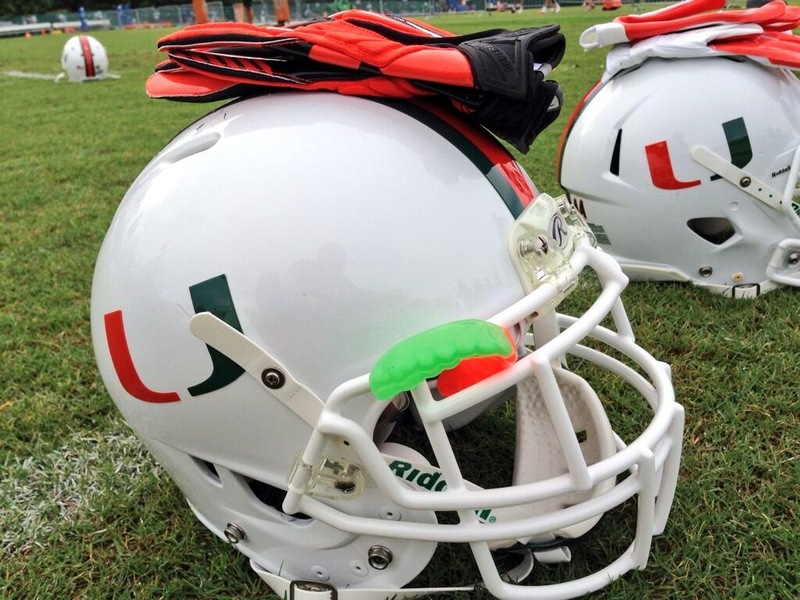 Stephen Morris, who was recruited by the Hurricanes and Gators, chose to attend Miami. Good thing Johnson made it off the team bus. The passing game was stagnant. Morris went 15 of 27 for 160 yards. Florida, which had five players suspended for the opener, will get back linebacker Antonio Morrison, defensive tackle Darious Cummings, cornerback Loucheiz Purifoy and offensive lineman Quinteze Williams. The game is a home game for Miami however Gator country has a strong alliance along Interstate 95. The Hurricanes have enough weapons to keep the game interesting to the final whistle. The game kicks off Saturday (12:00 ET, ESPN). WWW Prediction: Florida (-3) in a tight one. I have them at 30-20.